New rumors point to the new iPhone 6 featuring a resolution bump over its predecessors to go along with the expected larger screen(s). With iPhone 6 rumors set to rumble on right up until the device’s unveiling on September 9th, we run the risk of knowing everything there is to know about the phone long before we ever get our hands on it, but if you’re like us then you probably wouldn’t have it any other way. So, with the latest rumors pounding to super high-resolution screens making their way into the phone, we’re more than willing to sit up and take notice. The latest rumor actually comes courtesy of the iOS 8 beta, after it was noticed by developer James Thompson and later confirmed by 9to5Mac that there is support for image assists hidden in the latest iOS beta that points to a device with 3x scaling. The current iPhone 5s, for example, sports x2 scaling for its Retina display. The inclusion of a 3x group of assets was found by mistake, with iOS expected to choose the assets required by the screen it is being run on. A bug is causing higher resolution to be used, but with a x3 option available but no x4, it’s a safe bet that the new option is there for a reason. 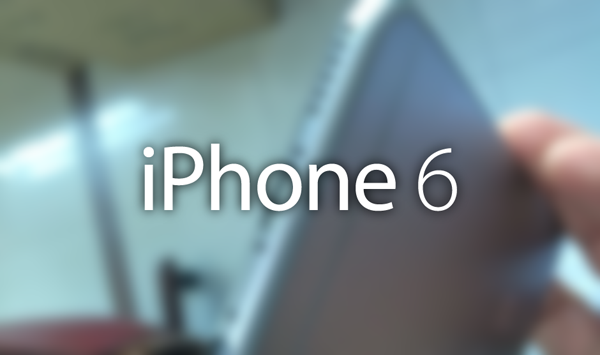 That reason, it is believed, is a new, even higher resolution screen being used in the iPhone 6. Whether that is dependent on screen size though, we’re really not too sure. Beta versions of iOS can often lead to tips on new hardware features, and with Apple upping the physical dimensions of its screens it perhaps stands to reason that an increase in pixels is also in the offing. We’ll find out eventually, of that there’s no doubt. Until then, we’ll have to keep playing the guessing game. It’s just a good job that game is so much fun!